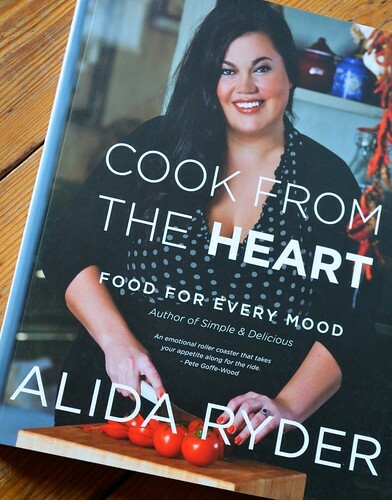 This time last year we reviewed Alida Ryder’s first ever cook book… Simple And Delicious… Well guess what, she has done it again!!! Really already so soon… Cook from the Heart has just been released in South Africa… and fabulous news I have a copy to GiveAway. 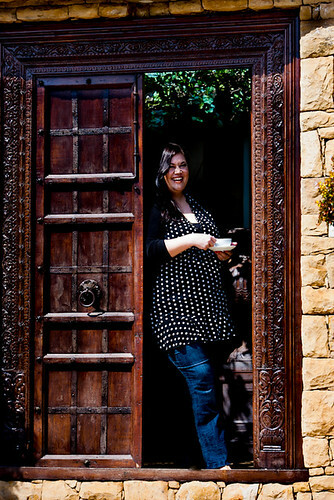 I am happy to say that her publisher, Penguin Books South Africa, were able to set up an interview… read away to discover the mom, writer, cook behind the blog, behind the books, who cooks from the heart… and really she does. Let’s start at the beginning… You obviously grew up in a home filled with food and fond memories of food. Did you cook as a small child or just enjoy the spoils, tell us about your earliest cooking memory. I used to bake cookies with my gran. I remember begging her to make quadruple the amount we needed. I would help her weigh the ingredients, roll the dough and cut out the shapes and wait patiently for the first batch to come out of the oven. Once they were cooled, I would take the entire baking tray and go sit in the corner and scoff them while my poor gran had to continue baking the cookies I demanded we prepare. She was always so patient and loving. I learnt that the kitchen is a place where a lot can be forgiven from her. I really don’t like brussel sprouts. I’ve had them prepared with bacon and they were more tolerable (what isn’t when cooked with bacon?!) but I still don’t like them all that much. Honestly though, I’m pretty keen on anything. I love almost all vegetables, cuts of meat and types of meat. And I will try anything at least once (except for spiders, I have terrible arachnaphobia). Tell us about your family, do you like preparing food together, do your kids join in or do they just tuck in? What is your favourite family feast together? I’m a bit of a control freak in the kitchen and I work very efficiently on my own so when people help me it throws me off a little. However, I think it’s very important for kids to help in the kitchen so I give them simple tasks like preparing salad or chopping mushrooms for pasta, etc. We love ‘picky’ food. Food you serve on a big platter and everyone helps themselves. Tapas-style eating with olives, breads, meats and salads. Is there a piece of kitchen equipment that you can’t live without, is there something you take with you when you go on holiday, in case the house you stay in doesn’t have one? I am very attached to my Wusthof knives and I take my little electric hand mixer with on holiday or when I know I’m going to be cooking at a friend/family member’s house. I love strong, solid knives and I also struggle to cook on anything other than gas. If you could visit anywhere in the world for a meal, where would you like to go and what would you eat? 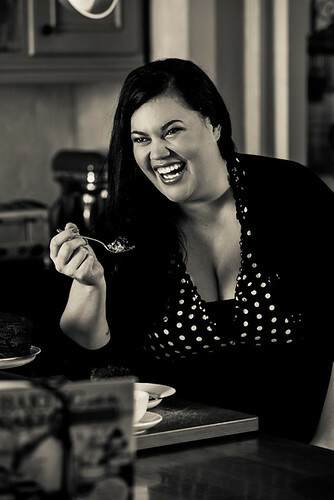 And if you could take a famous foodie with you, to chat and learn some tips from, who would that be? My number one destination to travel to at the moment is New York. I know it might sound strange because most people travel to Italy or France to go eat but I think NYC is so diverse and colourful and that the food scene there is so exciting. Another place I am dying to visit is Greece. My mom had an obsession with Greece and I’ve always dreamed of going there to eat the dolmades, taramasalata and kleftiko she loved so much. Now to choose a foodie to take with. Hard one! I would probably take my friend Sam Woulidge with as she is an eater, just like me. And we seem to have a lot in common where food is concerned. You have written a book packed with beautiful recipes for every single “state of the heart”… is there an event in your calendar that you love to cook for more than anything else? What is your favourite feast of the year… and what do you cook for it? Christmas is a biggie for me. I grew up with a mother who adored Christmas (for religious reasons as well as for the fun and festivity of it) so I just love this time of the year. I like to entertain so during December I like to serve easy, quick meals to friends and family but the big event is Christmas Eve followed by Christmas Day. Christmas Eve is usually a lot of tapas style food and Christmas day is where the Turkey, stuffing, gammon and sides are the highlight. As a busy mom, and a writer… You still have to find time to cook for your family, are you a clean as you go kind of cook, or just keep on going until you run out of counter space… What is the most challenging part of being in the kitchen for you? I am a bit of a messy cook and I kind of just pile the dishes by the basin until I’m done cooking. I’m trying to be a more organised and neater cook though. So you are a brilliant blogger, you do amazing food styling, you have two fabulous books out… where is your next cooking adventure, where do you see “Alida Ryder” in five years time… or ten years time… tell us a foodie dream. I think my ultimate dream would be to host a cooking/lifestyle show. One where the main focus is on food but also has elements of decor, entertaining and travel. 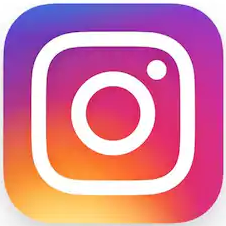 I’d also like for Simply Delicious to become more of a go-to website for recipes and entertaining ideas. Now if you know us, then you know we love trying out cookbooks and this book was no exception… the recipes in this book are indeed food for every mood. The chapters have headings like Happy, Melancholy, Nostalgia, Anger, Lazy… don’t you love it already. Angry food, lazy food… Anyway this book is one of those cook books packed with comfortable food, the sort of things you want to cook at the end of the day when you head in the door and kick your shoes off… or on a Saturday morning with a crowd of visitors… and dare I say plenty of ideas for mid-night snacks. The one thing I really love about home grown South African cookbooks, is not only that they create food that we love and have been raised on, but the ingredients are familiar, actually – everything I needed for this review was already in my cupboards. 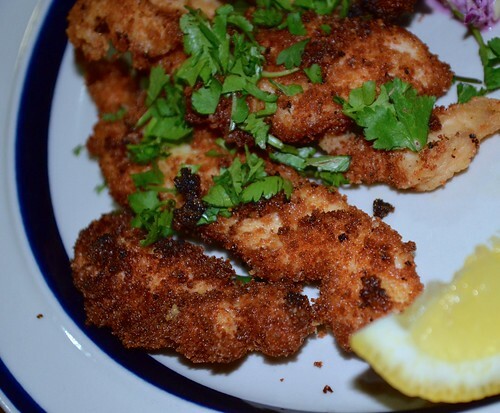 Percorino Crumbed Chicken Strips: Call me lazy, but I never bother to crumb anything – well after trying this dish my family is demanding more of the same – a lot more… and I may have to raise my game!!! 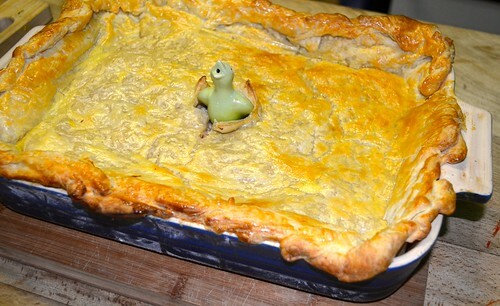 Chicken and Chorizo Pie: And dare I say we will be adding pie to our dinner repertoire as well. And I love that her recipes are generous, which means that with all of us and some feasting friends there were left overs for lunch the next day!!! 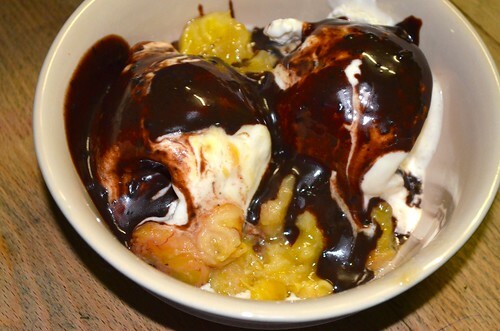 Hot Fudge Sundae: I should add that we do actually eat food in our house, and we do cook three meals a day every day… but why oh why have we never made hot fudge sundaes before… this is now firmly on the calendar… a “must have stock to create this in the cupboard at all times” kind of recipe!!! 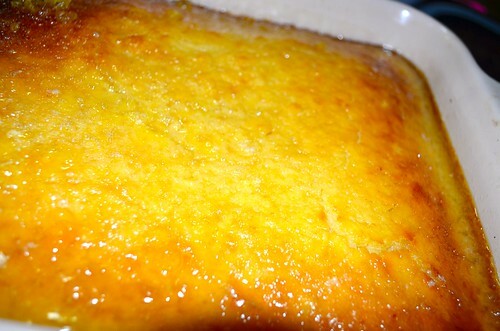 Lemon Syrup Pudding: We make a similar dessert to this quite often, so I was quite happy to try this on a Wednesday night, when granny comes for dinner… nice, you can’t change things up too much for an old familiar palate, that likes things just so. She gave it a nod of approval, even though it was a little different… yes, it was about twice as much as I usually make!!! Pancakes with Cinnamon Sugar: There was literally dancing in the strew over here when my kids saw a recipe for forty pancakes!!! And when Alida Ryder says forty pancakes, she really means it!!! 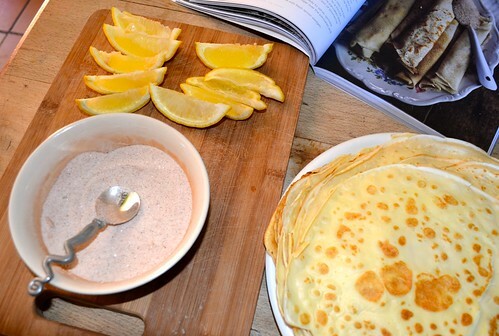 I have never made pancakes with water and I was quite nervous the whole way through this recipe but they were fantastic and plenty to feed us and some friends who popped in for Saturday breakfast. I have to teach my teens this recipe, I could definitely wake up to the smell of a pile of pancakes being created on a lazy weekend morning!!! 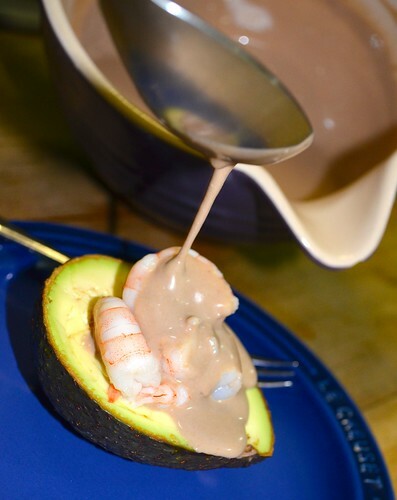 Avocado Ritz: In the olden days when we were young, you could get this and eat this anywhere… it is the father person’s all time favourite starter… so we introduced the kids to the world of “avocado ritz” and they loved it!!! 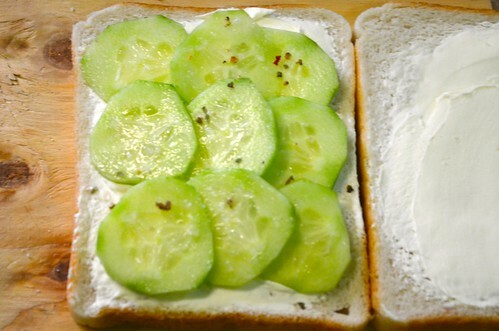 Cucumber Sandwiches with Milky Tea: I live with a young lady who dreams of high tea… so for her to discover the secret of fabulous cucumber sandwiches was just delightful!!! Lemon Pound Cake: We had a friend over on Saturday, he pops round to learn how to cook from time to time… well I handed him this recipe and he made a winner. It’s quick and easy… and most important tasty!!! 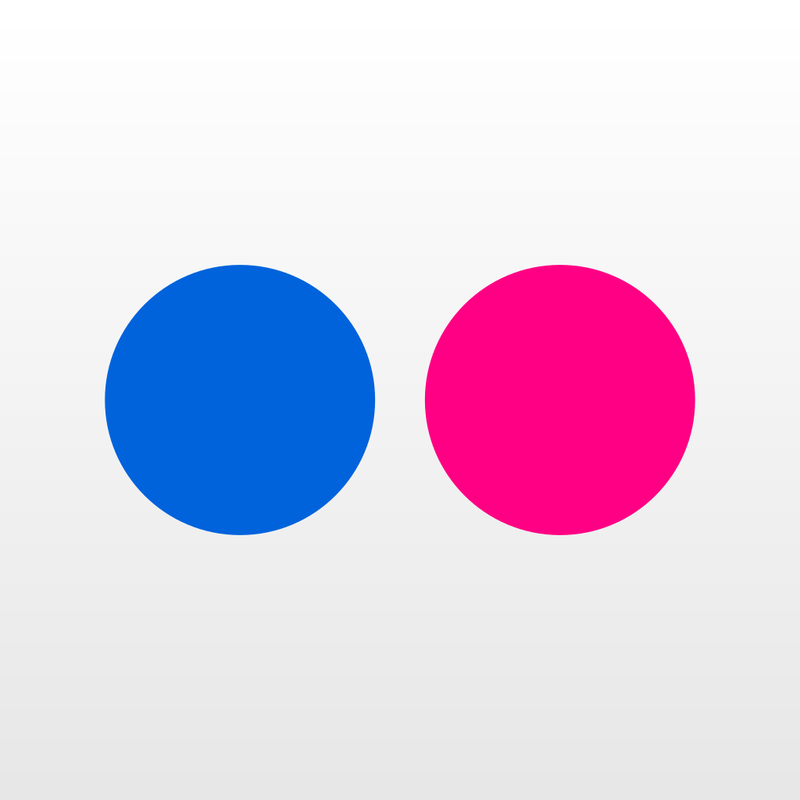 This GiveAway works in the usual way, leave a comment before the end of Monday, 2 December 2013, and we will draw and publish the winners after that. I won’t respond to your comments as I do on our other posts because I don’t want to be included in our own giveaway. This GiveAway is open worldwide. If you have won a GiveAway before never fear – enter away. 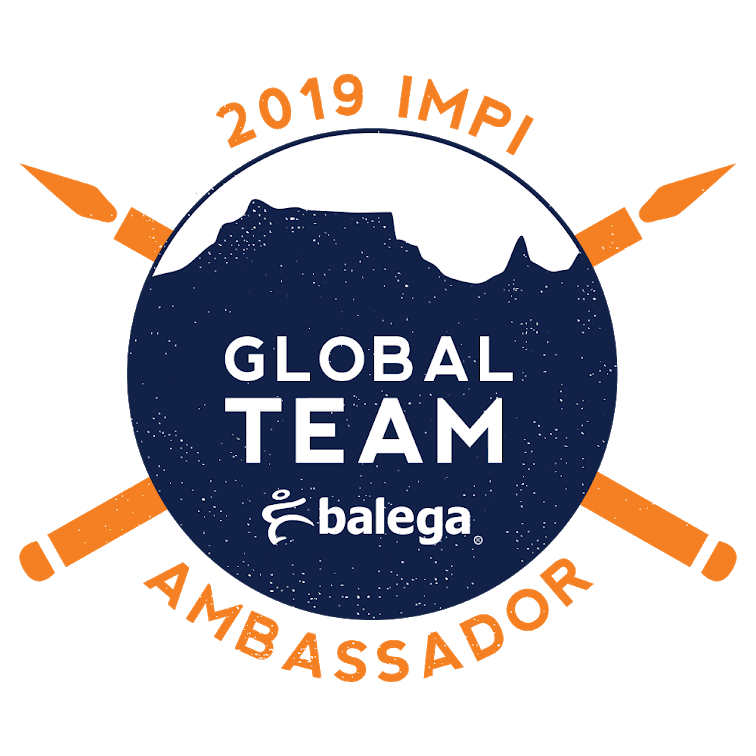 We really want to thank Alida Ryder for taking the time for an interview with us, and we want to thank her publisher, Penguin Books South Africa, for providing us with a copy of the book to review and another copy to GiveAway to our readers. We were not paid to write this post and the opinions expressed are as usual entirely our own. Angry food??? That sounds like the perfect pms food. I need it!!! Ooooo!!! I love new cookbooks! The recipes in this one look delicious! Great interview. The good photos make me want to go cook something right now even though it’s almost 9 pm! This book would be perfect for me! I´m so excited to find new cookbooks and new dishes to cook 🙂 Ps: The cover is amazing! What I like about Alida’s recipes is that it is food that you can actually make. So many recipe books I’ll page through and think everything looks amazing, but you can’t find the ingredients, or it is just too difficult. These recipes you can find the ingredients, not too difficult, and it’s delicious. It’s like cooking ‘real’ food ,only better! We’d love to win this book< please enter us! I’ve never seen a cookbook with recipes for all the different emotions – sounds fabulous! 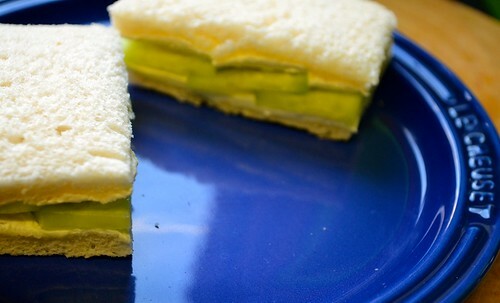 I love Alida’s blog and this recipe would be an amazing win. Just reading this post has made me hungry! Please enter me, I have also got a large family to cook for and this book seems ideal with it’s larger quantities. I hope Alida does gets her own cooking show in the future! Droool! Congrats Alida on another beautiful book this foodie needs it asap. Pretty please considering its on everyones wishlist for Christmas.A bite for my every moood.